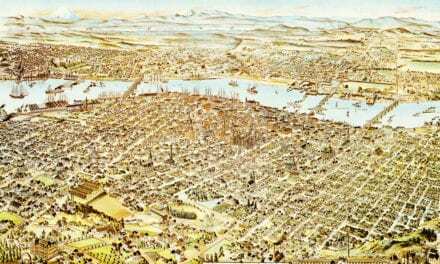 This historic map of Jacksonville, Oregon was created in 1883 by Fred A. Walpole, a prominent 19th century map maker. 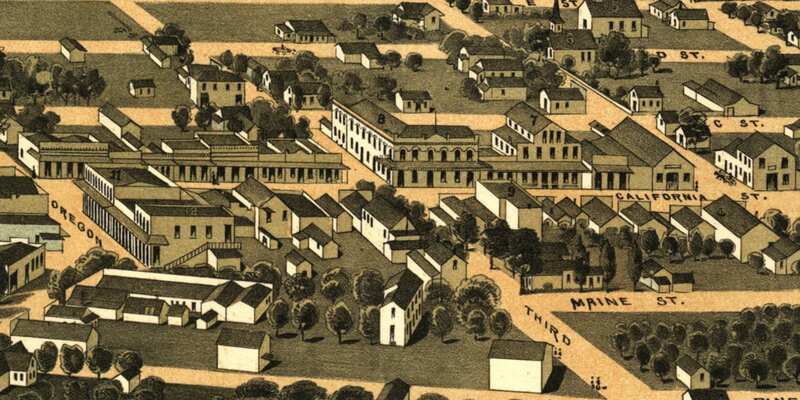 The map shows a bird’s eye view of the town as it used to be, including street names and old landmarks. Landmarks on the map include St. Mary’s Sisters Academy, Presbyterian Church, Public School, Court House, Methodist Church, Catholic Church, Slover House, U.S. Hotel, Sentinel Building, Times Building, Masonic Hall, and more. This historic map of Jacksonville was restored by KNOWOL. Reproductions of the restored map are available here. 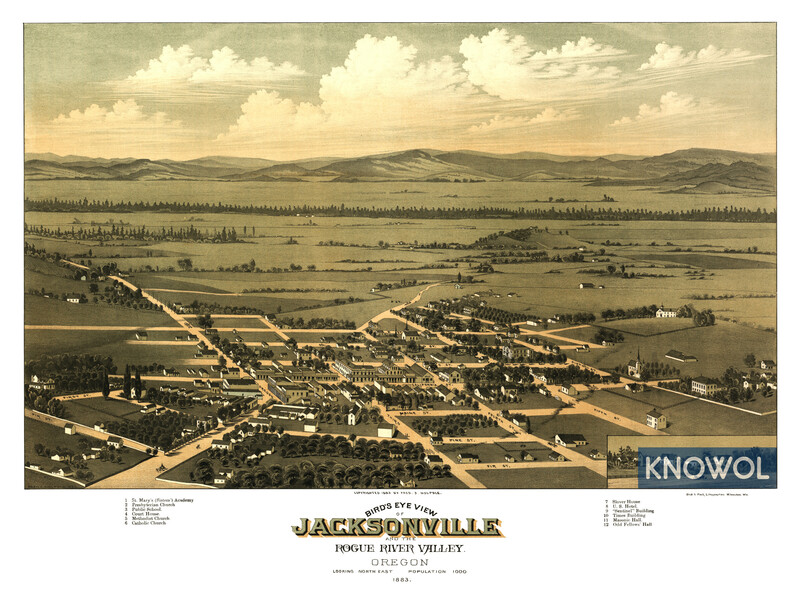 This old map of Jacksonville makes an attractive addition to your office, library, or den and can even be used to teach children the geography and history of the area. When you’re done exploring, click here to get your copy.